Gingrich, H. D. (2013). 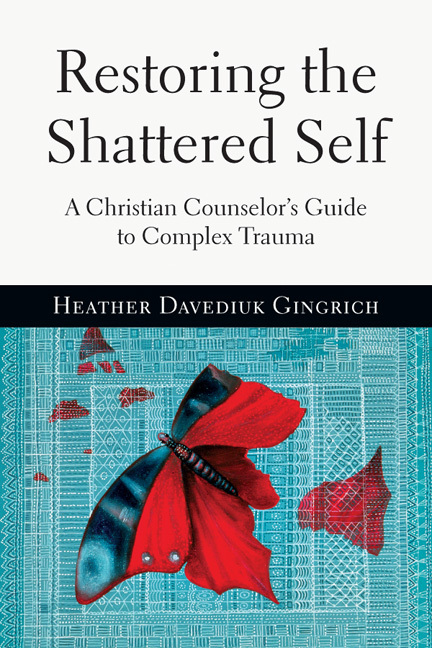 Restoring the shattered self: A Christian counselor’s guide to complex trauma. psychotherapy. In J. Aten & D. Walker (Eds. ), Treating trauma in Christian counseling and psychotherapy. sample. Saarbrücken: Germany: Lambert Academic Publishing. Gingrich, H. D. (2011). Complex traumatic stress disorder and dissociative identity disorder. In T. Clinton & R.
Hawkins (Eds. ), Popular Encyclopedia of Christian Counseling (pp. 221-223). Irvine, CA: Harvest House. Counseling (pp. 205-208). Irvine, CA: Harvest House. 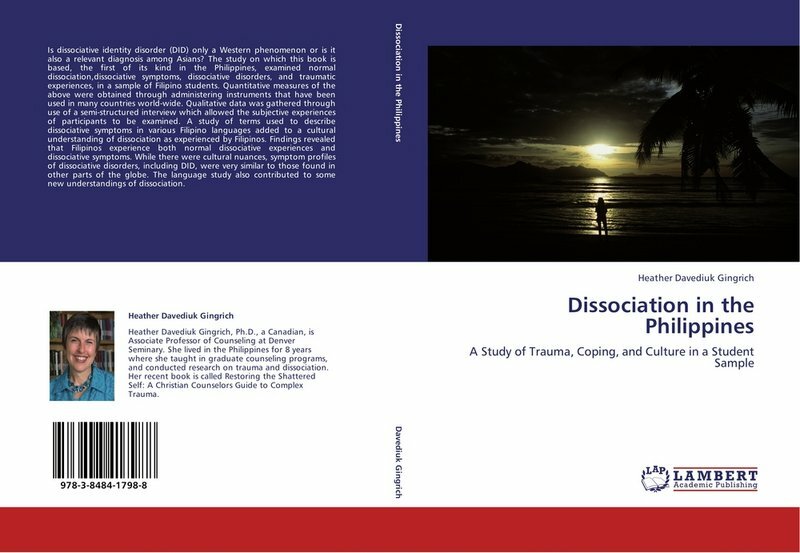 dissociation in a cross-cultural perspective: Not just a North American phenomenon. New York, NY: Haworth Press. disclosure. Manuscript submitted for publication. Hogstrom, K. E., & Gingrich, H. D. (2013). Experiences and utilization of member care in an international missionary sample. Questionnaire. Manuscript submitted for publication. Christians in Student Development, 10, 40-53. (2007, but released in 2010). Phronesis (Journal of Asian Theological Seminary) 14, 41-65. Gingrich, H. D. (2009). Assessing dissociative symptoms and dissociative disorders in college students in the Philippines. Journal of Aggression, Maltreatment, & Trauma, 18, 403-418. Mountain Trauma and Dissociation Society) News, 2-5.
phenomenon. New York, NY: Haworth Press.